Red Lantern Campaign for Awareness, 2nd Annual. Throughout the town’s downtown Main Street, several businesses are hosting our homemade Red Lanterns of Hope and a GBV/DV statistic infographic. 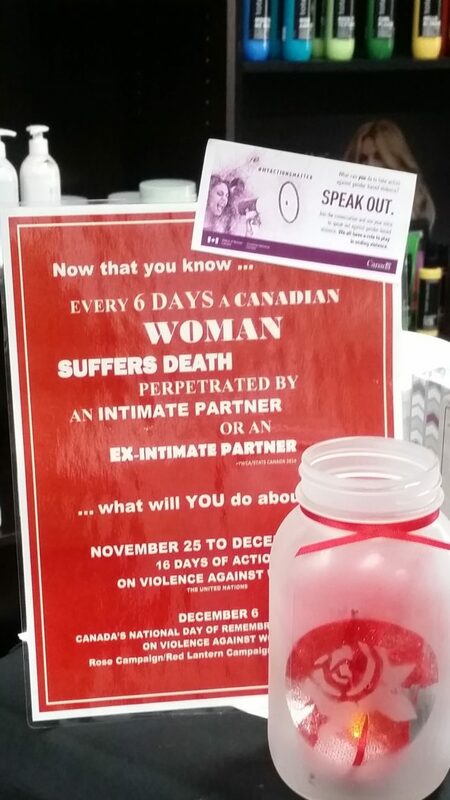 On Dec 6, Canada’s National Day of Remembrance and Action on Violence Against Women, our lantern Hosts will light the candles (LED) in commemoration of the 14 women who died because they were women at Ecole Polytech in Quebec, Canada but also as a testament to their support for our clients and creating awareness to end violence. The Lanterns and infographic will be on display until Dec 10.